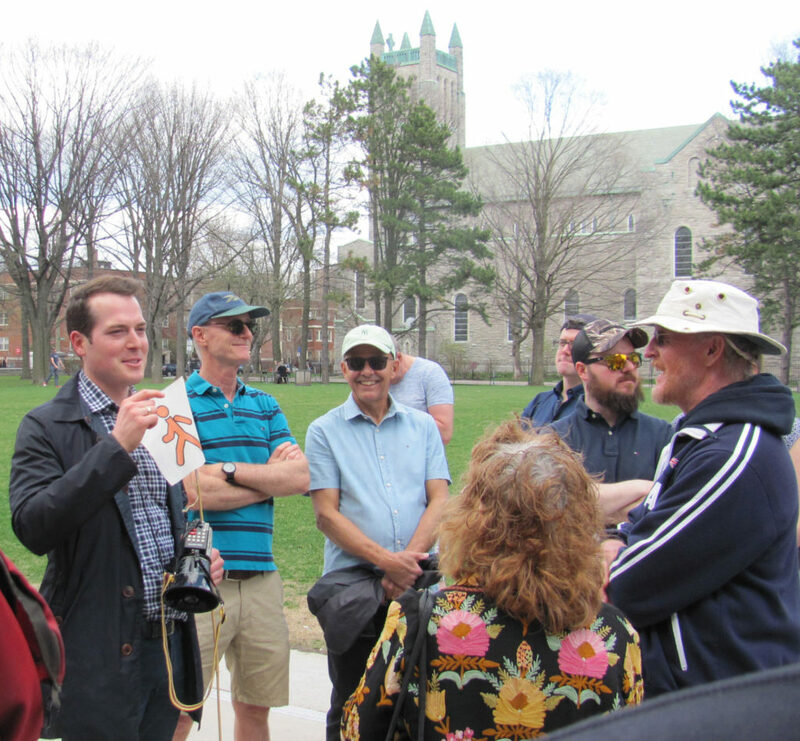 On Saturday, May 5, as part of Jane’s Walk activities in keeping with the vision of urbanist Jane Jacobs, Councillor Mathieu Fleury led a large group of participants on a walking tour to visit two of the newest City services, the LRT and the Ottawa Art Gallery. He stopped to answer questions as the group passed through the University of Ottawa campus after viewing construction around the new Campus station. He explained that a new multi-use pathway will run along the LRT line from the campus all the way to Hurdman station. Good news for cyclists and pedestrians! The large house at 434 Daly Avenue was home to John Turner, Canada’s 17th prime minister, from the ages eight to 16. During this time, his mother was an economist at the Tariff Board and eventually became the senior woman in the male-dominated Canadian public service. 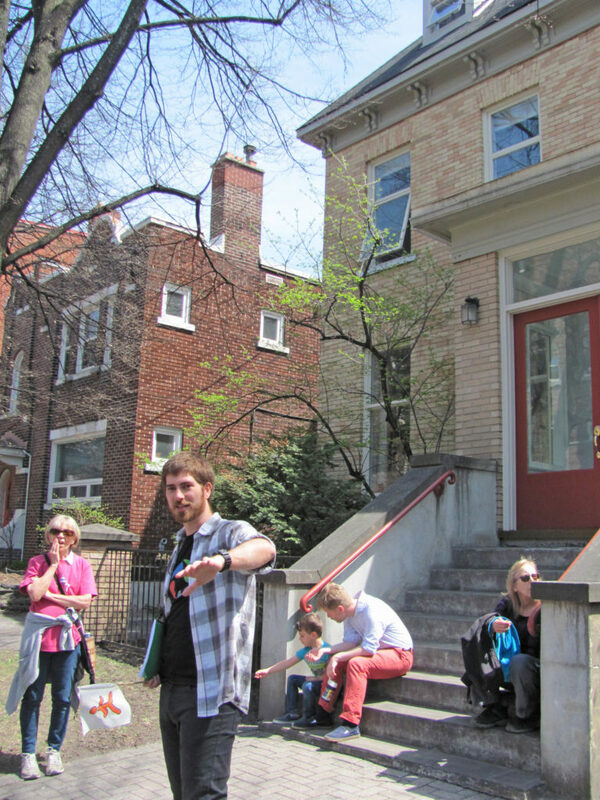 Franci Bregha drew on his father’s research for the website, Sandy Hill History (www.ash-acs.ca/history) to recount the house’s historical connections to participants in a Jane’s Walk on May 6.